Harold Brusett, age 89, of Jordan. Harold Eden Brusett passed away Monday morning, November 5th, 2018 in Jordan, Montana. Harold was born in the dining room at the family homestead in Brusett, Montana, May 18th, 1929. He was the second of five children born to Ed and Helen (Weaver) Brusett. He had curly blonde hair that his mother wouldn’t cut until he was four years old. He started school at barely five years old so that his sister Alma didn’t have to walk by herself. Harold enjoyed horseback riding and had pets of all kinds. He once roped a coyote he wanted to tame. Another time Harold got a few bum lambs from the neighbors. He kept them out of sight of his cattleman dad who did not want any sheep on the place. He and his brothers had to rope a range cow several times a day to feed them. Harold attended the Stone School and the Green Ridge School in early elementary years March – November. In 8th grade he stayed with his aunt and uncle in Custer so he could go to school in the winter and be free to work on the ranch in the summer. He went to high school at Mount Ellis Academy in Bozeman, Montana and worked on the school’s farm. He went to Union College in Lincoln, Nebraska. He drove a red convertible and convinced Mareta Jensen to skip class and go to the next town to watch basketball with him. Harold and Mareta were married June, 1st 1952 at her home in Texas. They left that very afternoon for Brusett, Montana. They lived in Kenneth and Ruth Butts’ bunkhouse and taught school while they saved money to buy cows and land. Harold made school interesting. Sometimes he rode a horse to school and pulled students behind him on skis at recess. Then they’d switch and pull Mr. Brusett. His teaching career ended in 1960 when they bought the Oscar Butts’ place in Brusett, Montana. Harold and Mareta had four children. A son, Corwen, who died at birth, followed by Tara, Randy and Bonnie. Harold was an active father. He did Jack LaLane exercises with his kids before taking them to school in the morning—never late. They often went down to Devil’s Creek in the summer. They could stay as long as someone was waterskiing behind the red and white speedboat. On hot summer nights he was a good sport and slept on a mattress outside with his kids and all the nieces and nephews crowded around in their sleeping bags while Mareta pointed out constellations. 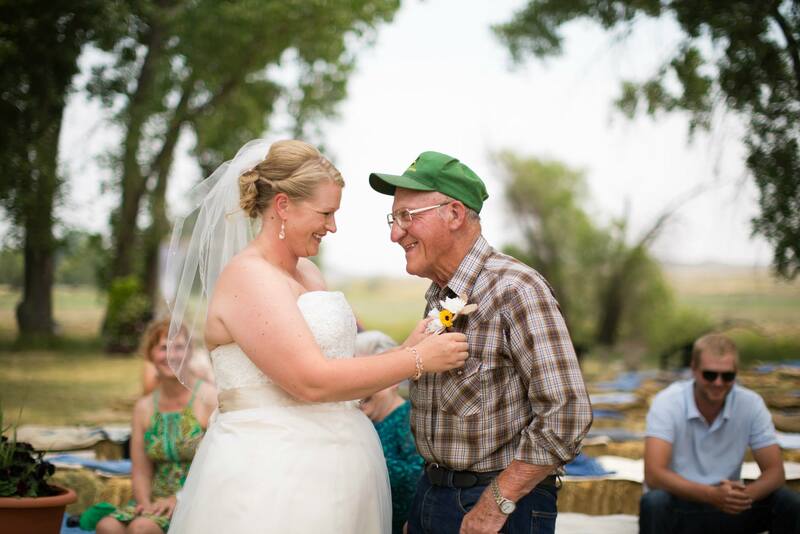 Harold became “Papa” when granddaughter Brittani was born. Next came Tierani, Cortani, Kyra, Laif, Jennifer and J.E. Papa saved part of his lunch every day just in case the kids stopped by the field. He enjoyed watching them play basketball, volleyball, show 4H projects, and rodeo. 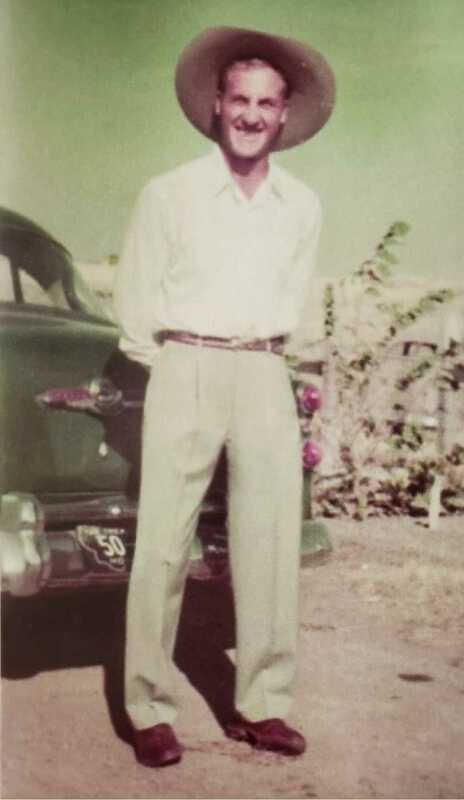 Harold himself played basketball and volleyball well into his 60s and seldom missed a high school game at the gym even after his own grandchildren all graduated. “Deal the cards!” Papa called out with a big smile whenever grandkids came in the door. He liked pinochle, farming, ping pong, farming, skiing, farming, golf, farming, and coffee at the Cenex. He loved well and was well-loved. He was preceded in death by his parents, Ed and Helen Brusett, a son, Corwen, a sister, Alma Greenway, and a brother, Dale Brusett. He is survived by his wife, Mareta, siblings Morris Brusett (Geri) and Marilyn Weissenfluh, children Tara Eddy (Dan), Randy Brusett (Sharon), Bonnie Cooley, grandchildren Brittani Tooke (Robert), Tierani Brusett, Cortani Martin (D.J. ), Kyra Pinango (Henry), Laif Eddy, Jennifer Ericson (Bobby), J.E. Cooley (Presley), great-grandchildren Taelynn Ericson, Bellani Martin, Baine Martin, Roan Tooke, Tiago Pinango, Remi Tooke, and Vivian Pinango. No funeral service will be held. You are invited to join family at Fairview Hall, Brusett, Montana on Sunday, November 11th from 2-4pm to celebrate his life. Condolences may be sent to the family by visiting: www.stevensonandsons.com. Should friends desire, memorials may be made to GCDHS Athletics, P.O. Box 409, Jordan, MT 59337, Garfield County Museum, or the charity of ones choice. So sad to hear this. All our prayers, hugs and love to all Harold’s family. We hold so many great memories with all of you. Especially enjoyed the elk scouting drive a couple years ago with Harold and Randy; too many memories with Tara and Bonnie to recount here. Mareta you have always been in my life in so many ways. Never knew how to take Harold’s comments ….loved his sense of humor. I am so sorry to hear of your loss. I will never forget Harold telling my dad that I might grow up to be president as I was born on Harold’s birthday. He was a great man and will be missed by all who knew him. To the entire Brusett Family: My most sincere condolences to you all. I just loved Harold’s humor. He would be so serious and come off with the best humor. He will be missed by his family and his many friends. Thinking of you all at this trying time. To the Brusett Family…….So very sorry to hear of Harolds passing. I truly enjoyed this man. He had a great sense of humor and when I left the Brusett PO, I missed seeing him ……..one of my most favorite people here in Garfield County. I will always hold special thoughts of him. Keeping the family in my thoughts and prayers! To the Brusett Family, I am so very sorry to hear of your loss. You are all in my thoughts and I am covering you in prayer. Harold will truly be missed by so many people. I wish for all, peace and healing. God Bless. our prayers go to the family. he was a great guy and enjoyed visiting with him. will missyou at the ball games. I’ll like to express my deepest condolences for your loss. I hope you can find comfort in the memories you shared with your dear Harold. Losing someone you love is one of the hardest things to ever experience, the Bible provides us with a hope of seeing our loved ones again right here on earth. John 5:28,29 “Do not be amazed at this for the hour is coming in which all those in the memorial tombs will hear his voice and come out.” This is a wonderful promise that we can all look forward to, may Jehovah the god of all comfort be with you during this difficult time. Feel free to visit jw.org for more information on the resurrection hope. So sorry for your loss. I could never talk to Harold without smiling. A more delightful man there never was. I know he will be missed. My many thoughts and prayers go out to the family god bless. I am sorry to hear of Harolds passing. I have many great memories of our families vacationing together. We will all miss Harold. I will always remember his quick sense of humor, it was the best! He was so proud of his family, especially his grandchildren. He set an example for all of us with his farming practices in the Blackfoot. My thoughts and prayers are with all of you. So many wonderful memories with Harold. He was a very special man and will be missed by all that had the pleasure of knowing him. Loved his sense of humor. Hold your memories close they will help you through the tough days. What a loss. We are thinking of and praying for your dear family. So much love from us. Our thoughts and prayers are with your families. Sorry to hear, he will be deeply missed, he was a great guy, always a big smile and a hi… you are all in our thoughts and prayers, hugs..
Our very deepest sympathy on your loss. Will miss seeing Harold walking when I come to Jordan in the morning. Keep all the wonderful memories close to your heart. You will be in our thoughts and p0rayers. God Bless! at the gym in Jordan during the winter months. He was a good player and a good sport. He didn’t get too excited if things didn’t go his way. He just simply enjoyed playing the game. He enjoyed winning as we all did, but didn’t get upset if he was on the losing team. Like me, I think he was there because he liked getting out of the house in the long winter nights and enjoy playing volleyball. I will miss his always friendly smile. The Brusett community lost another stalwart pillar with Harold’s passing. What rich legacy he leaves. His life and that legacy challenge each of us to raise our bar a notch. Our thoughts and prayers are with all of you. So sorry to hear about Harold. May God bless the family in this time of sorrow. Dear Mareta and family, I am sure sorry to hear of Harold’s passing. I want you to know you are all in my thoughts and prayers as you go through this difficult time. I never knew much about Harold until reading the obituary…quite interesting! I did know him a little, personally, and had delightful and interesting conversations with him from a professional standpoint. I knew him as a person who knew what he wanted out of life, and no one dare to convince him otherwise! His soft conversation and sense of humor amazed me. He will be missed by all but those who knew him will never forget his captivating personality! My heart goes out to you, Mareta, as you will miss him the most. Keep in mind that Harold lived life as he wanted to…my hat off to him! RIP Harold, you’ll always be in my prayers. My thoughts and prayers to Harolds’ family and friends. Comfort and strength for all of you!